Chuck graduated from Cincinnati College of Mortuary Science in 1959. He was a U.S. Air Force Veteran of the Korean War. In 2010 he was recognized for 50 years service as a licensed funeral director and embalmer. 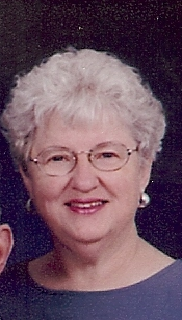 Pat has been a registered nurse for over 50 years and was a licensed funeral director for 20 years. Chuck graduated from Cincinnati College of Mortuary Science in 1980. He is president of Wellman Funeral Homes, Inc. Chuck is a licensed funeral director and embalmer and insurance agent. He married Cathy Reed in 1982; has 3 sons, Charlie (Erin), Christopher (Brittany) and Caleb (Chrissy) and 7 grandchildren, Emma, Jackson, Olivia, Harper, Avery, Jameson and Robby. Craig graduated from Cincinnati College of Mortuary Science in 1997. He is a licensed funeral director and embalmer. He is married to Kim and has 3 daughters, Cierra 17, Celeste 15 and Cayli 13. He enjoys riding his motorcycle and various sports. Chris graduated from Cincinnati College of Mortuary Science in 2008. He is a third generation funeral director and embalmer. He and his wife, Brittany have 3 children. Glenna has been working for Wellman Funeral Homes for 19 years. Glenna and her husband Kevin live outside of Ashville. They have 2 daughters, Jamie and Lindsey and 9 grandchildren, Ava, Gavin, Brayden, Levi, Cole, Alivia, Brynlee, Everly and Maverick. Glenna enjoys walking, working in her flower gardens and spending time with her family. Valerie has been with the company for 18 years. She is married to Oscar and they have 4 children, April, Curt, Caleb and Cody and grandson, Logan. She enjoys scrapbooking in her spare time.